Is Japan’s decision to leave the International Whaling Commission really that big a deal? When Down To Earth first contacted me to write about the news that Japan shall exit the IWC (International Whaling Commission) and shall resume hunting whales in their coastal waters and Exclusive Economic Zone (4,479,358 sq km) from June 30, 2019, I wondered if I should take it up—challenge my personal stand on the matter, or just to let it go. I decided to put my mind to paper, to understand Japan’s move from different perceptions and different times in history. There is always more than one story, and if we review the matter over time, we realise we are actually witnessing human history—the spread and growth of civilizations as the utilisation of natural resources was discovered; emergence of knowledge systems and ideas of morality; evolving human ethics; changing paradigms of economic development; and finally the shifting of power structures in international affairs and politics. There are various human players here: international treaties and national interests; nations and communities; scientists and politicians; hunters and conservationists; sustenance and industrialisation. They are all playing eventually for gaining control over finite natural resources. In this case, this resource is the humble whale. The first-ever mention of whale oil, extracted from the subcutaneous layer of fat called blubber comes from 1059 BC, when the Basques of Iberia explored its uses. From that time till the mid 19th century (1857-1859), whale oil became the source of illumination (candles, lamps) worldwide, and also fueled the start of the Industrial Revolution. There were other uses, such as the use of whalebone in making corsets; but the primary value was in oil and meat. As the demand for whale oil increased and the number of whales required for this demand kept falling, alternate sources were explored. For instance, petroleum-based products like kerosene started replacing whale oil in 1859. As the commercial value and demand of whale oil fell, so did the whaling industry in North America and Europe. It was also around the same time, in the mid 1800s when the inherent values of wildlife, and the need to manage the same, was first realised in the United States and Europe. Wildlife management for sustainable extraction remained the central paradigm to manage hunting pressure–both recreational and commercial. By the late 1800s and early 1900, wildlife preservation and management for game hunting had entered the terrestrial mammal-hunting arena. By the mid 1900s, wildlife conservation became a paradigm to consider in natural resource management. Hunters had started becoming conservationists; and a shift had come in the way Europeans perceived nature. These new paradigms entered the world of whaling too. Yet, the need to manage whaling arose only after technology allowed whalers to travel far and hunt in large numbers using factory ships. Whale numbers had severely depleted owing to this. Given the life history of whales (long life but low rate of reproduction), this reduction in numbers almost to extinction in many of the hunted whales is not surprising. By the 1930s, the drastic fall in whale populations was evident even to whalers. While hunting of whales for oil had drastically reduced in the late 1800s, given their low numbers and low quality compared to petroleum products, their hunting for meat by whaling communities continued. The ‘International Convention on the Regulation of Whaling’ (ICRW) of 1931 and 1938 comprised of countries that hunted whales. At first, the ICRW suggested species-level interventions of seasonal or spatial bans on hunting baleen whales, but without any scientific backing. The failure of countries to abide by these was because of the ability to defect or for non-member countries to continue hunting. This is where world politics and power structures come into play. This was a post-World War II period and whale meat was the easiest source of protein in Japan. Japan was under great pressure of sanctions from the US. Hence, Japan refrained from disturbing the peace accords after WWII and has played along the various stages of the IWC moratorium by hunting whales in the Southern Ocean, much to the dislike of animal-rights activists, scientists and conservationists. Japan started hunting whales in Antartica in 1936 with ‘Factory ships’ and ‘catcher vessels’. This was banned in 1938 and resumed again in 1946. The IWC was formed in 1946, with each member country having a single vote for or against any major decision. As most of populations of the commonly whaled species had been over-exploited and depleted, the IWC in 1946 offered ‘Blue Whale Units’ to be hunted instead of the commonly-hunted decimated species, so that these species could recover. Unsurprisingly Blue Whale and Fin Whale populations also plummeted. Yet, Russia and Japan continued commercial hunting of whales. Russia did not consume the meat but sold it at sea to Japan with whale meat being the primary source of protein in Japan at the time. Russian fleets depleted most baleen whale populations in the process, and illegally took 100,000 whales in the Southern Hemisphere operations after WWII. Another point to be noted is that it was during this time that Russian fleets depleted baleen whale populations in Indian waters between the 1950 and 1960s, with Humpback whale populations almost extirpated from the eastern Arabian Sea. In 1963, Japan took up to 27,000 whales. While no solution was being found in this whale decimation worldwide, in 1972, a resolution of the Stockholm Conference on the Human Environment called for a ten-year moratorium on commercial whaling. In 1974, IWC offered the ‘Minimum Sustainable Yield’ method based on stock levels. When this method failed due to the lack of data on the stock/population sizes in different parts of the oceans for different species of whales, the IWC voted for an indefinite moratorium to ban all commercial hunting till a solution was found and a comprehensive assessment of whale stocks was begun worldwide. Japan kept waiting; pro- and anti-whaling nations politicised the debate and tried to buy and sell votes by adding member countries, even landlocked ones, into the IWC in regard to the moratorium. Finally, in 1990, the IWC again offered to vote on the RMP method (Revised Management Procedure, based on robust stock assessments) but the majority of member countries voted (with international politics at play) to retain the complete ban on commercial hunting. And pro-whaling countries were left with no option but to accept this, to leave, or to negotiate further depending on the international pressure or politics their countries had to face globally. Norway, Iceland and Japan have been carrying out scientific research with the aim of making whale products medically beneficial for humans, but the meat from these have been proven to be found in their local markets. While several indigenous communities worldwide, such as the Inuit of the Arctic, whale sustainably only for domestic purposes, the IWC, along with other conservation NGOs and governments, that are pro-animal rights and pro-conservation, does not want to see commercial whaling resumed, nor the non-domestic utility of whale products to enter the consumer market such as the pharmaceutical industry. Over time, the changing First World ethics of wildlife preservation and conservation starting in the mid 1900s have become the IWC’s 21st century agenda. 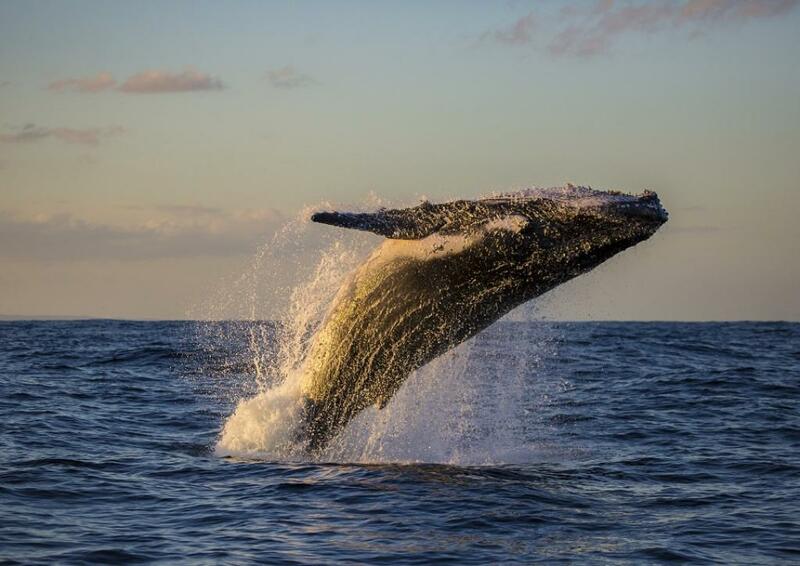 In September 2018, the IWC announced that its central aim was to conserve the large whales, rather than allow their commercial hunting. Given the current (2018 onwards) international political climate–the open political disdain surrounding environmental law and protection globally, most world leaders focusing on pro-war paradigms and increasing their naval presence around the world, right-wing politics of development at the national level, avoidance of the responsibility of being leaders of a global community, and the global shifting in power structures to China and Russia–the climate is just right for Japan to walk away without feeling the heat from the US, UK, Australia and New Zealand. Other International Treaties will also witness such behaviours from countries that were till now submissive. If Japan starts hunting whales in its waters, the market forces for whale meat within Japan or other whale-consuming countries of the world will decide the future of Japan’s whaling industry. About 25,000 Minke whales are estimated to use the western North Pacific, but they are not resident. There is a coastal form called ‘J stock’ that is resident, with its population in the low thousands, already dealing with high levels of entanglement, and hence the Japanese say they will not hunt whales from the J stock commercially. This is a little packet of good news. The whale products industry has opponents even within Japan. Some Japanese youth seem to be anti-whaling. Finally, with Japan no more whaling in Antartica, the Southern Ocean Whale Sanctuary can be officially put in place. So it is not all bad news from the perspective of protecting large marine ecosystems. In India, fishers I meet on the islands or around the mainland tell me that all baleen whales are the Gods and Goddesses of the sea. No fisher will ever think of harming them. No fisher will be in the way of a whale or approach the same. In fact all of them, on encountering a whale, burn incense and break a coconut as a prayer to the whale to keep them safe at sea. Yet, they have been known to hunt similar-sized whale sharks in the past. The value that humans attach to giants of the sea differ from culture to culture. Only our experiences from the past guide our future value systems. As for my personal stand, I believe strongly that humans should not kill that which they do not need; and if they must need or want, they must use it without wastage so that they give due respect to the life they used, irrespective of the cognitive abilities of the species being targeted or whether they are sentient beings or not. Whales and dolphins are highly intelligent, with social lives, and are known to show empathy too. They can connect/interact with you if you spend time with them, but so can many other species across the spectrum. I have spent time with Inuits who hunt sustainably as it is their traditional right and their identity; and have eaten walrus meat while a Polar bear skin was being washed. I have also spent far too much time with fishermen and can see how technology and industrialisation has been the doom of our marine ecosystems and our sustenance-driven fishing systems. Being born a human comes along with the burden of being utilitarian even if minimally. There is no escaping this. Being an ecologist by training, I am aware that most natural units live by the law of taking what they need from each other, thus staying within balance. I am scared that only humans have been able to break down these natural systems, leading in turn perhaps to the eventual decimation of most species high on trophic chains, including themselves. And hence the show will go on. We as people will keep changing our needs, our politics and our ethics. The resources we exploit will eventually loop back and get us. In all this global political, philosophical, economical and ecological drama, is Japan leaving the IWC really a big deal? No. Does the current stature of the IWC fall because of Japan leaving? No. Should those of us born in the 21st century striving to sustain biodiversity on Earth give up? No. Very well researched and written. Appreciate your effort to present the facts in a fair manner. The conclusion you have arrived at, at the end seems just. Thank you.